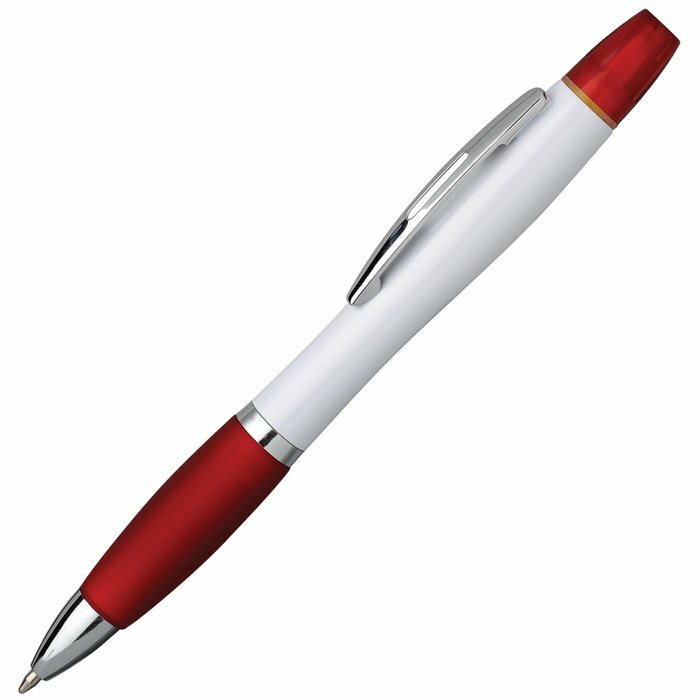 Best selling pen style with a highlighter too! 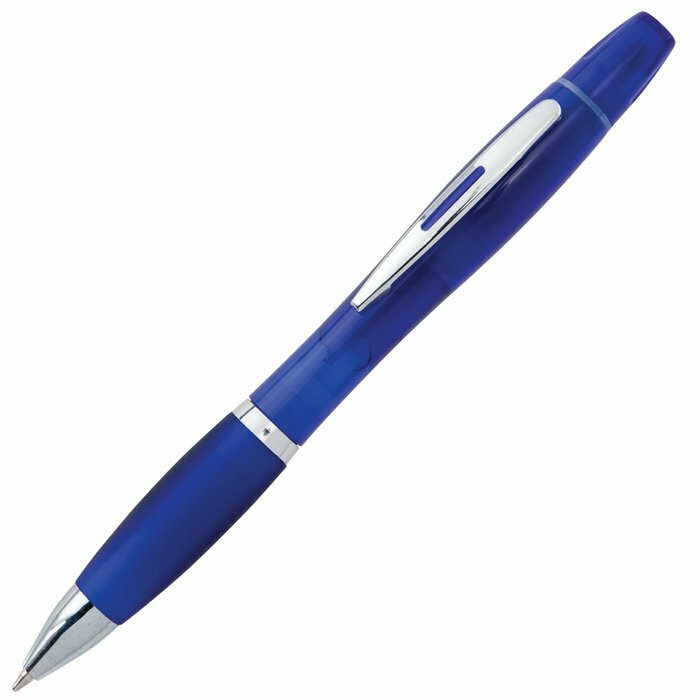 Shapely 2 in 1 ballpen with a highlighter above its clip. With yellow highlighting ink these Curvy Pens boast shiny silver accents as well as a coloured cap and tactile rubbery grip. 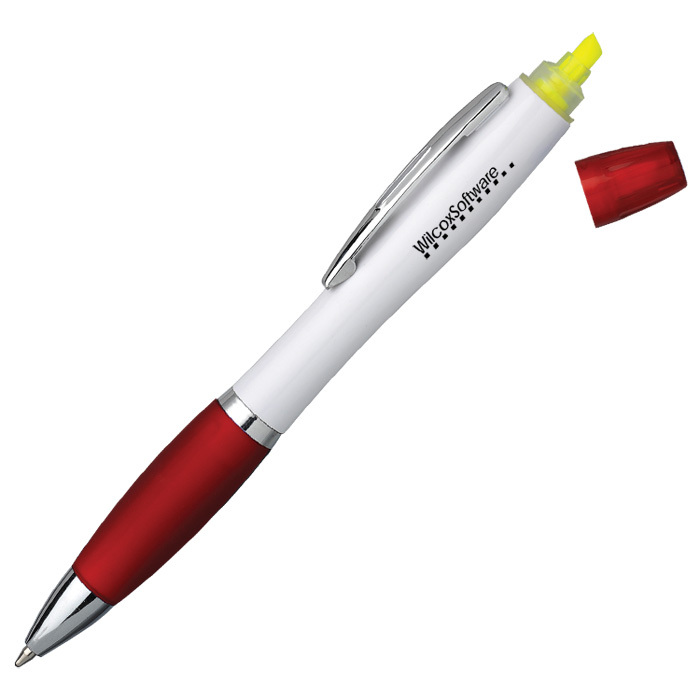 We can also print these highlighters in full colour (costs extra). 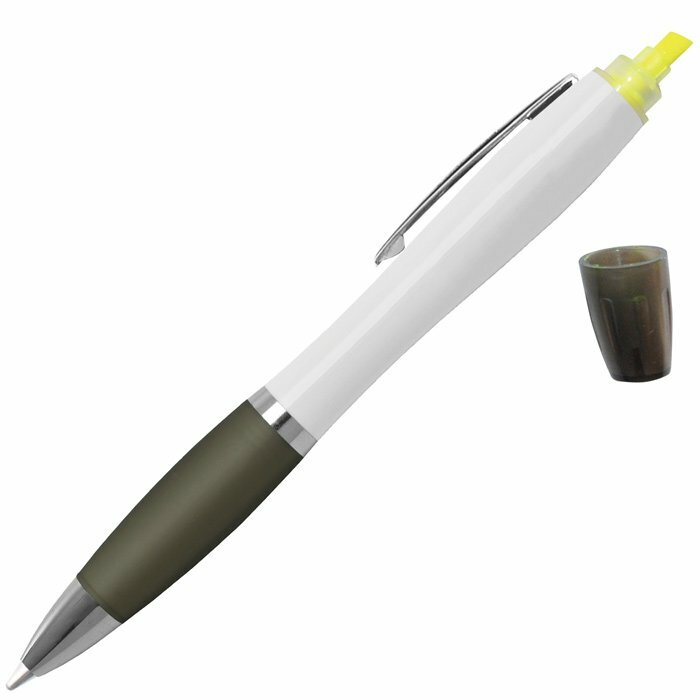 So the highlighter does not dry out the cap cannot be ventilated (have a hole in it) we therefore advise this product is not given to children under 14.